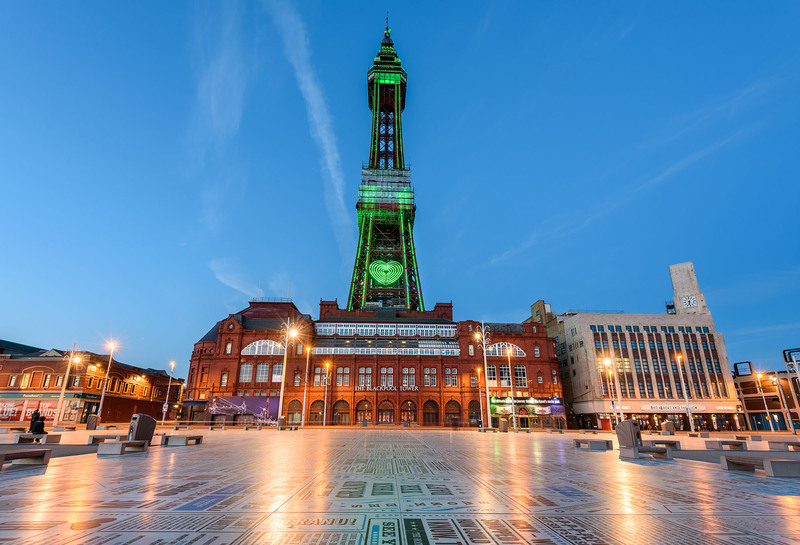 Blackpool Wood-fired Pizza Restaurant Enjoys Winning Ways With Valoriani! We were extremely proud when one of our Valoriani owners – Blackpool-based eatery ‘Italio’ – became the first winner of a ‘Woody’ – an award created by restaurant wood and charcoal supplier, Logs Direct, to reward restaurants creating food excellence through cooking with a wood-fired oven. Italio, on Highfield Road, Blackpool, opened on October 17, 2014, with a wood-fired Igloo 140 Valoriani clay oven as a talking point and showpiece, around which food theatre could be created. The oven was the choice of Italio’s owner, Nino Provenzano, who wished to produce the same ambience, aromas and taste sensations that he enjoyed during his childhood in Sicily, when his days would be spent around a wood-fired oven. 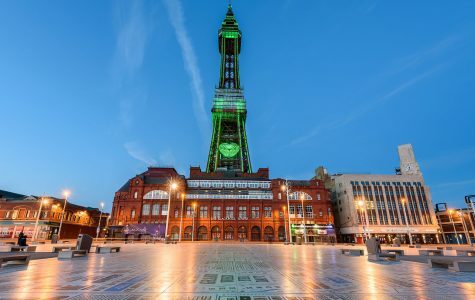 Blackpool tower a major attraction of Blackpool illuminated in green lights. Italio’s pizzas are not the standard Neapolitan-style, but creations made to old family recipes, with ingredient twists along the way. The wood-fired Valoriani oven which Nino selected has delivered his desires and enabled the restaurant to create much talked-about and praised food. Italio was recommended to use the best-quality wood available, supplied by Logs Direct, with whom Valoriani UK has a close relationship. After trying other logs, in an attempt to keep things very local, Nino realised he needed high quality wood, kiln-dried, with a moisture content of less than 20 per cent, which avoids burning, smoking and oven temperature inconsistencies. He switched to buying fabulous alder wood logs from Logs Direct, to create as much control over the oven, as if using gas. This means Italio delights customers with both the taste and the aesthetics of the authentic Italian pizzas on their plate, which are not burnt or undercooked. Additionally, the Valoriani oven turns out amazingly shaped calzone pizzas, which never fail to cause a stir on arrival at the table.